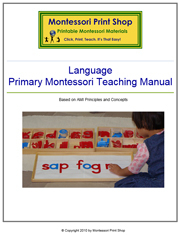 A complete and comprehensive teaching manual for the Primary Montessori Language materials. 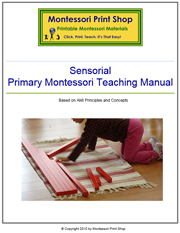 A complete and comprehensive teaching manual for the Primary Montessori Sensorial materials. 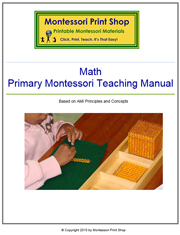 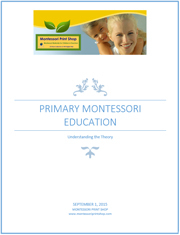 A complete and comprehensive teaching manual for the Primary Montessori Math materials. 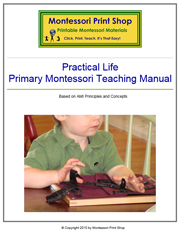 A complete and comprehensive teaching manual for the Primary Practical Life materials.